Paula K. Torkelson, 71, of Fort Dodge, passed away at her home on Monday, September 10, 2018. Funeral services will be 10:30 a.m. Saturday, September 15, 2018 at St. Olaf Lutheran Church with Pastor Carroll Lang officiating. Burial will follow at St. Olaf Cemetery. A visitation will be on Friday from 4:00 to 7:00 p.m. at Laufersweiler-Sievers Funeral Home. Paula is survived by her husband, Steve Torkelson; daughter, Jenni (Mike) Szalat; son, Jake (Jon) Torkelson all of Fort Dodge; grandchildren, Ryan, Jacob, and Drew Szalat and Alivia Torkelson and her brother, John Davidson of Fort Dodge; numerous nieces and nephews. She was preceded in death by her parents, Paul and Helen (Carroll) Davidson. Paula Kay Davidson was born June 21, 1947 in Fort Dodge. 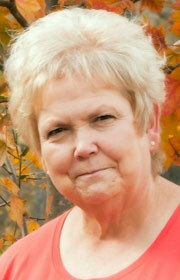 She was raised and educated in Fort Dodge; graduating from Fort Dodge Senior High in 1965. She then attended beauty school. On April 29, 1967 she was united in marriage to Steve Torkelson. The couple made their home in Fort Dodge. She worked for Beisser’s Inc. as the bookkeeper for several years and then later Paula worked for North Central Home Care until retiring in 2013. She was a member of St. Olaf Lutheran Church. Paula truly loved her family especially her grandchildren. Memorials may be left to family discretion.